I have been getting some much needed wandering and staring time recently. More on that later. I have been taking the dogs to quiet, peaceful places with water. The result? I have discovered the world of Damsels and Dragons and what a beautiful world it is. I had never paid much attention to these species in the past. I saw them, but never actually looked. My old camera didn't do a real good job of capturing the myriad of colors, either. I never knew there were so many species in our area. If you are now wondering what you have missed, it is somewhere in the range of 120-140 species here in WV. I have made just 3 short trips to sit and stare in dragonfly country and have collected photos of about 14 different species in around 2 hours of total time spent. I still have some photos that need a positive ID. Colors on most of these species is absolutely stunning when viewed up-close. Yep, this is becoming a new addiction. You can catch it to in any local wet spot. The top photo is a pair of Calico Pennants. 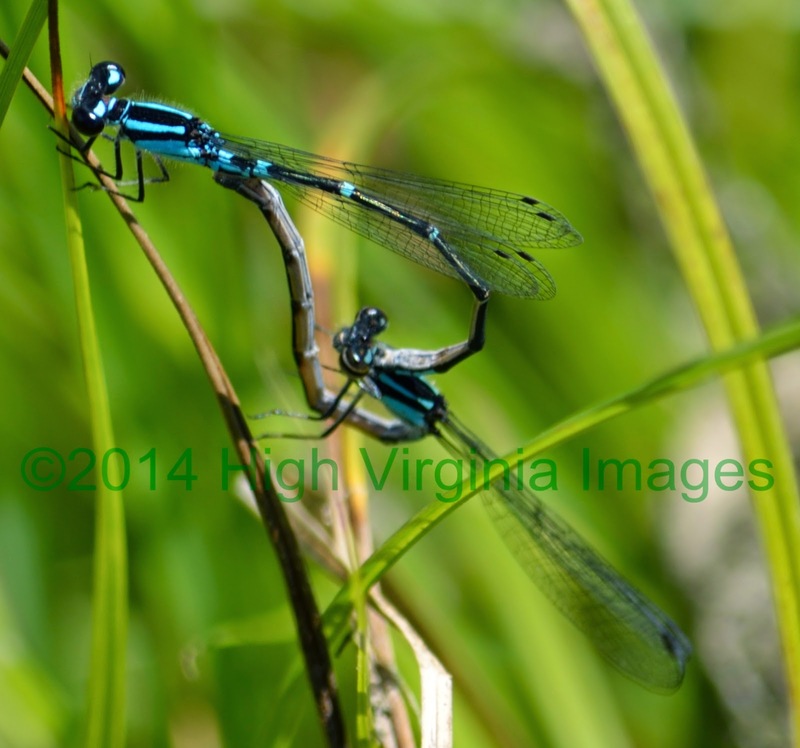 The bottom photo is a yet to be identified damsel fly. I think it is one of the Bluets. I took these shots at Mill Creek Reservoir, near Belington yesterday. They were all taken during a half-hour time frame while not moving more than thirty feet. I also got a decent shot of a very small damsel fly actually depositing eggs on some submerged vegetation! Do yourself a favor, go sit and stare. You might learn something and it will not hurt at all. SUMMERSVILLE, West Virginia – The West Virginia Division of Natural Resources (DNR), in cooperation with the West Virginia Professional Outfitters Association (WVPRO), will stock 750 pounds of rainbow trout in the Summersville Dam tailwater of the Gauley River during the week of Aug. 25, 2014. The goal of the stocking is to enhance late summer trout fishing opportunities in the Gauley River, according to DNR Director Frank Jezioro. SOUTH CHARLESTON, West Virginia – The West Virginia Division of Natural Resources (DNR) will conduct fisheries surveys and sampling for fish health assessments on the Kanawha and Elk rivers during the week of August 25, according to Bret Preston, Assistant Chief of the Wildlife Resources Section. The Kanawha River fish collection is a component of a statewide fish health assessment project in cooperation with the U.S. Fish Wildlife Service's Northeast Fishery Center in Lamar, Pennsylvania. 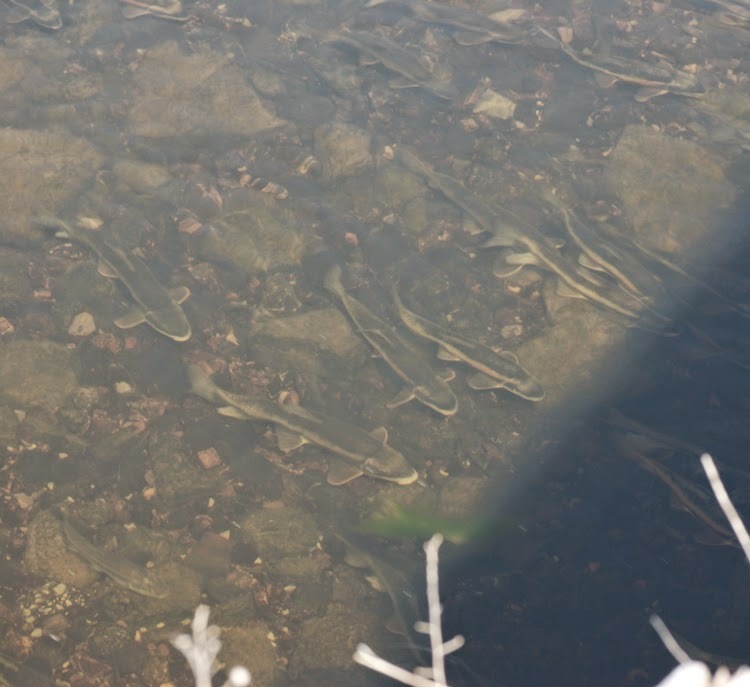 The Elk River fish collection will be conducted in cooperation with the U.S. Geological Survey's National Fish Health Laboratory in Leetown, West, Virginia, and is the result of fish health monitoring following the MCHM spill in January. No fish kills were observed after the spill in January and this effort will look at possible health impacts in the area of the spill. 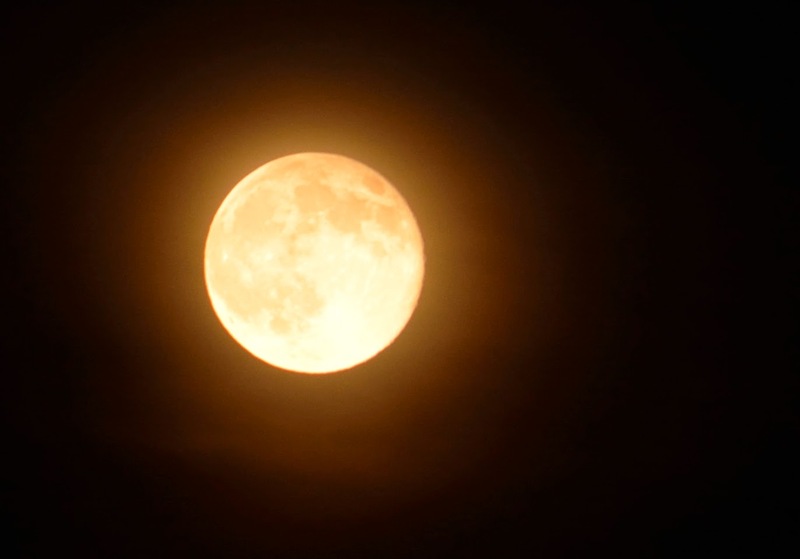 DAVIS, West Virginia – It's fun to look up at night and wish upon a star. On a clear, dark night, the Perseid meteor shower makes dreams come true for anyone interested in astronomy and night sky observation. Perseid meteor shower viewing events will be featured at Blackwater Falls State Park Aug. 11 and 12. "Everyone is welcome to attend and we're wishing for clear dark skies for a great star party," said Paulita Cousin, naturalist at Blackwater Falls State Park. Dan Costanzo, scientist with the National Air and Space Museum, has more than 40 years of experience watching meteors and the Earth's sky and will be the guest interpreter for this astronomy event. The Perseid meteor shower is an annual summertime event. Meteors can be observed on clear nights from mid-July to late August with the peak show usually occurring around Aug. 11 and 12. Meteors can be observed in the early evening sky after darkness falls; however, the number of meteors increases after midnight. Blackwater Falls State Park, one for the darkest areas in the east, is the perfect setting as Earth passes through the debris of Swift-Tuttle – a comet discovered in July 1862. The Perseid meteor shower viewing begins at the Harold Walters Nature Center Monday, Aug.11 and Tuesday, Aug. 12. An indoor gathering includes a presentation about meteors and the night sky in preparation for the night sky viewing. The program begins indoors each evening at 7:30 p.m. and viewing of the meteors will follow outdoors. The nature center area will be free of artificial lighting. "A clear night with dark skies, evening sounds of frogs and other wildlife, and a meteor shower – it doesn't get much better," said Cousin. There is no charge to attend and no advance registration necessary. Attendees do not need to bring a telescope but are encouraged to bring a lawn chair or blanket to sit back and watch the show. Overnight lodging is available at Blackwater Falls State Park by calling 304-259-5216. To talk with Naturalist Paulita Cousin, call 304-259-5511. Blackwater Falls State Park offers daily activities and programming and posts those at www.blackwaterfalls.com. Other astronomy activities include the StarLab portable planetarium with the park naturalist at various times Aug.9-19, 2014. I decided to take a little trip up Gandy Creek today. The primary purpose of the venture was looking for chanterelles; struck out there. There are always things to see and do if you just go. The dogs enjoyed the trip. Of course, Ralphie found another little water snake. I don't know where he got his sudden fixation of snake trailing. The highlight was along the road, just downstream of where this photo was taken; a mink was standing on a log looking at me as I drove by. I dug the camera from behind the seat and was surprised when the mink hadn't moved. I had to back up a little; still there! Just as the camera was focusing, it took off upstream. But, it stopped in some Queen-Ann's Lace and looked back. The camera refused to focus on the mink since the breeze was blowing the flowers slightly auto-focus kept going to the flowers. Oh, well no mink pictures but a nice afternoon anyway. Butterflies were few and far between today, too. There was a Blue-winged Olive mayfly hatch on the middle section of the stream and a few feeding trout. One should always remember that trout are all ready temperature stressed when the water temperature is 70 and above. Leave them alone..They do not need anymore stress and the majority will die; even if they seem OK when you release them. I bet that many of you can remember just riding around. You would ask someone what they were going to do this weekend and the answer was “just ride around “or you may have asked what are you doing? Oh, just riding around was often the answer. That has become thing of the past and pleasant memories. New things and favorite places were discovered on those rides with no purpose other to get away from the same old thing and see something new. There was no rush and no time limits. No worries. We all know that things change; often not for the better. These days, it is extremely hard to justify any recreational travel. Thinking about the cost of driving just twenty miles one way and back home again can tend to make one stay home. Yes, filling the vehicle with gas and coming back the next day to fill it up again tends to be painful. Exploring and discovering new places and things close to home has become the wise thing to do. You may be surprised to find new things in places you thought you knew well. Each season brings new wonders to discover. You may not know the simple joy of identifying a new species of insect, butterfly, plant or bird; but I can guarantee that you will enjoy the process immensely after you have experienced the feeling. It may not be easy to find out what it was but the resources are there and it will stimulate your brain a little. You get a little glow when you are finally right; too. We all still have access to a tract of woodlands, streams, wetlands and grown-up fields; they aren’t as numerous or big as they used to be but they are still there. These are prime spots for just walking around. The only necessary equipment is a bottle of water. Binoculars, bug spray or a camera may make your little stroll a little more enjoyable. I have spent many quality hours just walking around with my dogs. I am rarely out there looking you anything in particular and I am often rewarded by something new. Pay attention to your dogs. They find will find and show you things if you let them. Go with the flow and don’t hurry them along. The best look at a Henslow’s Sparrow that I have ever got was actually sitting on my shoe. They are secretive small sparrows and it was sneaking away from one of my dogs. The only bad part of that encounter was that I had on a camera lens with a 4.5 ft. focus distance and I’m not that tall. I still do not have a photo of a Henslow’s. Yes, we are captives of fuel prices and there isn’t much that we can do about it. We just have to make the best out of a bad situation and continue making the effort to enjoy our lives. Turning Sunday drives into daily walks can definitely add to the quality of life; sitting and staring can add even more to that. You never know what you may discover. 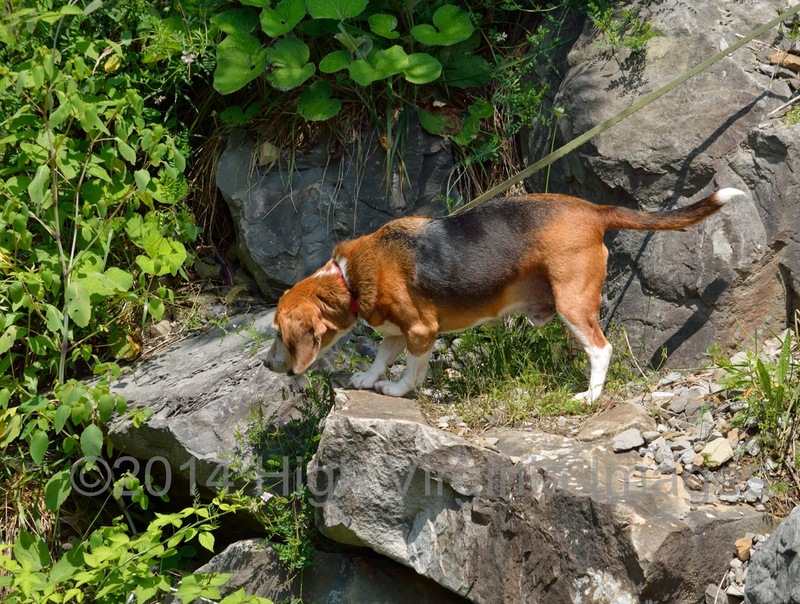 I decided to take a little trip to Tucker County, yesterday (8/2/14) and see if there were any ripe blueberries. The rains decided to follow me throughout the trip. I left the normally cloudy and dreary Elkins town around 2 pm in the bright sunshine. It didn't last. It started sprinkling as I was going out Olson Fire Tower Road. I was hoping to find an elusive Monarch or a seemingly now elusive edible mushroom. Nope, neither was to be found. Amanitas and False Chanterelles were in abundance; of course. On to Davis. The rain intensifies. Rain was pouring and river were running down the road at my next stop. I was hoping to find a few migrating sandpipers. I honestly couldn't look out my window and tell if there were any ripe blueberries; just 5 feet away. Oh, well.. 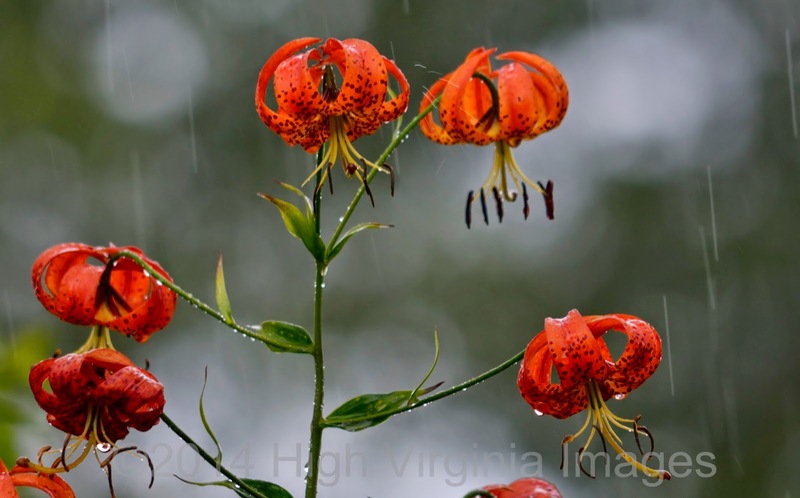 I drove on to wind-whipped Canaan to look for the Merlin that was spotted recently on Timberline Road at a tree surrounded by Turks-cap Lilies. I rode and rode on Timberline Road which was at the time some type of race course. I couldn't find the lilies. I had given up. Finally I found the lilies at the beginning of the road, looked up and there was the Merlin. I was already past it. I went down, turned around, set the camera settings properly and went back. Pulled somewhat off the road and turned on the emergency flashers..Waited for the next round of speed racers to go by and got out. Focused the camera on the Robin that was now sitting in the tree. Still don't have a Merlin photo. The rain had now caught up to me, too. I stopped at a couple of spots on Dry Fork, saw a few trout and bass. I couldn't find the Common mergansers that hang around the area. I actually haven't seen any merganser broods this year. And the rain set in. I started to go up Gandy and look for chanterelles. the skies looked ominous, I decided against it.Went home and took a nap in the rainstorm. The End. 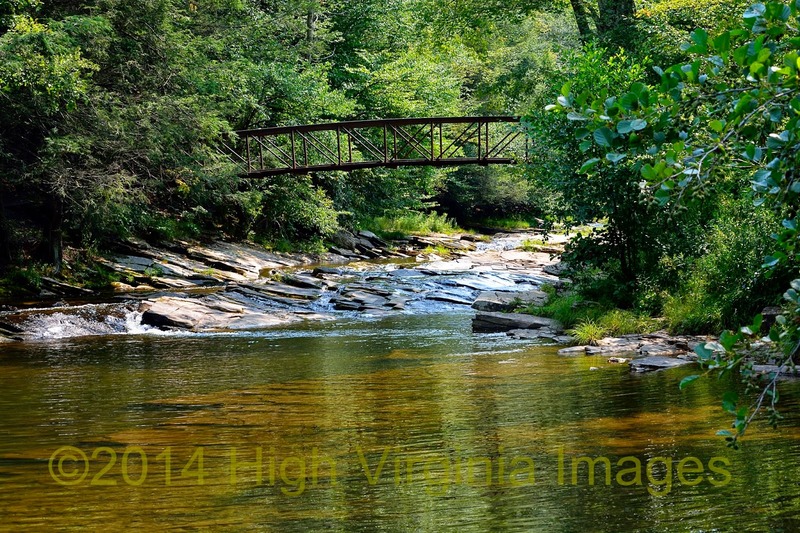 Photos (c)2014 High Virginia Images All Rights Reserved.